Mothers Day is almost here. 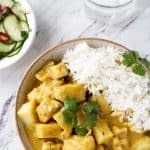 If you’re wondering what to make, we have some ideas that will make planning a menu much easier. 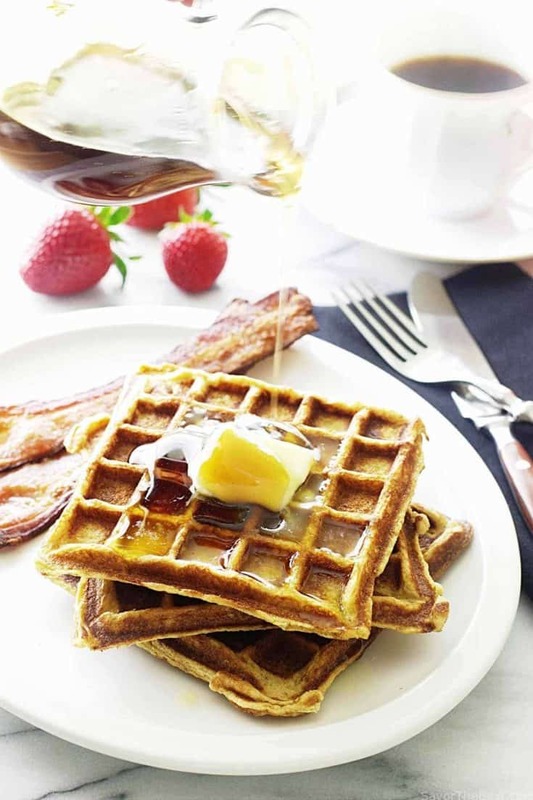 Here is our roundup of Mother’s Day Brunch Recipes. You don’t have to be a mother to celebrate Mothers Day. Mothers Day is about celebrating all Mothers but mostly it is about giving thanks and honor to God for all mothers. Mothers are a precious gift from God and Mother’s Day is an opportunity for us to express gratitude for His gift in a tangible way. What better way to show the evidence of your gratitude than to serve a mother in your life with a beautiful meal and your fellowship. I hope that this Mother’s Day you have an opportunity to honor all the mothers and mothers-to-be that are in your life. Make Mother's day extra special and start the day off with a delicious brunch. 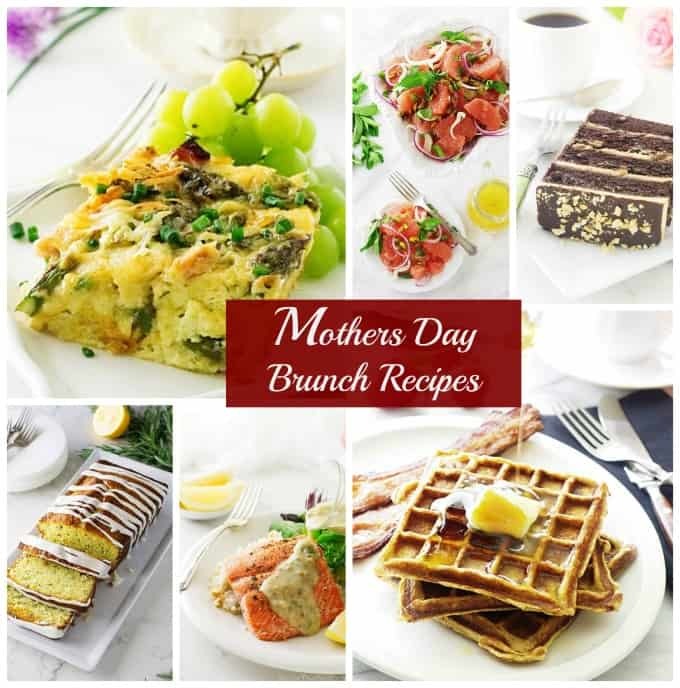 Check out these brunch recipes and create a menu that will make mom feel especially appreciated. 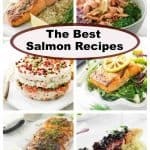 Oven-baked Cedar Plank Sockeye Salmon with Hazelnut Vinaigrette fillets are easy to prepare and one of the most flavorful methods of cooking salmon. The sweet woodsy flavor of the cedar plank infuses each tender bite of salmon. A luxurious hazelnut vinaigrette is spooned over the fillets adding a unique flavor-burst. 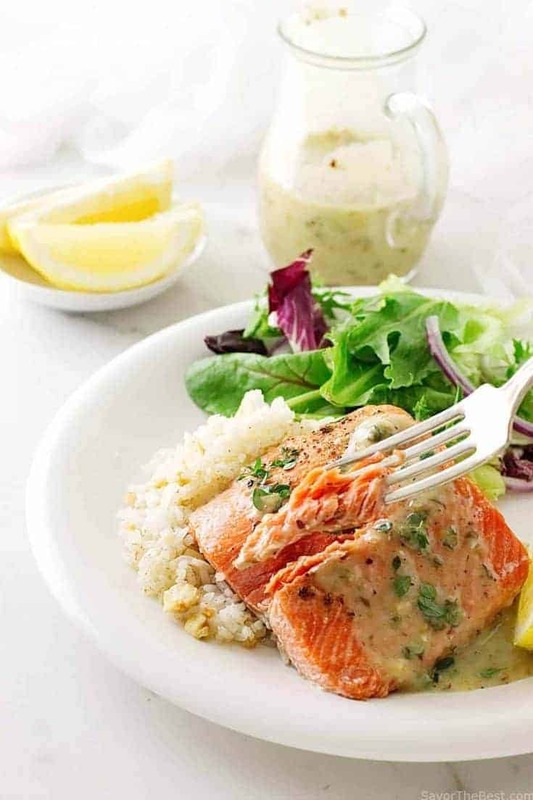 Every brunch needs a main course, and this salmon dish is not only easy to make, but it is classy. It makes a great addition to your Mother’s day brunch recipes. 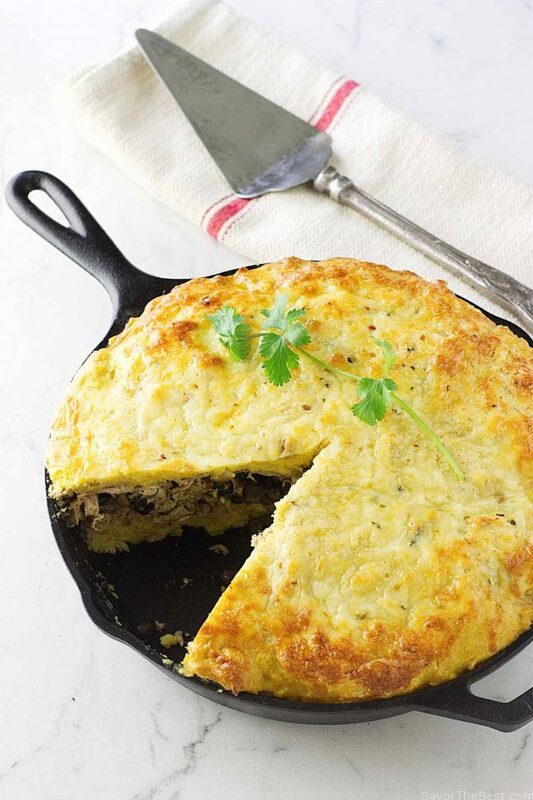 Our recipe for Chipotle Pulled Pork Tamale Pie has a cornbread crust and a filling of spicy chipotle pulled pork, fresh roasted poblano peppers, chipotle salsa, black beans and shredded pepper jack cheese. Easy no-fry chili Rellenos made into a casserole with a little heat from pepper jack cheese and spicy salsa. This recipe takes all the fuss out of making chili Rellenos and it is perfect for a large group. 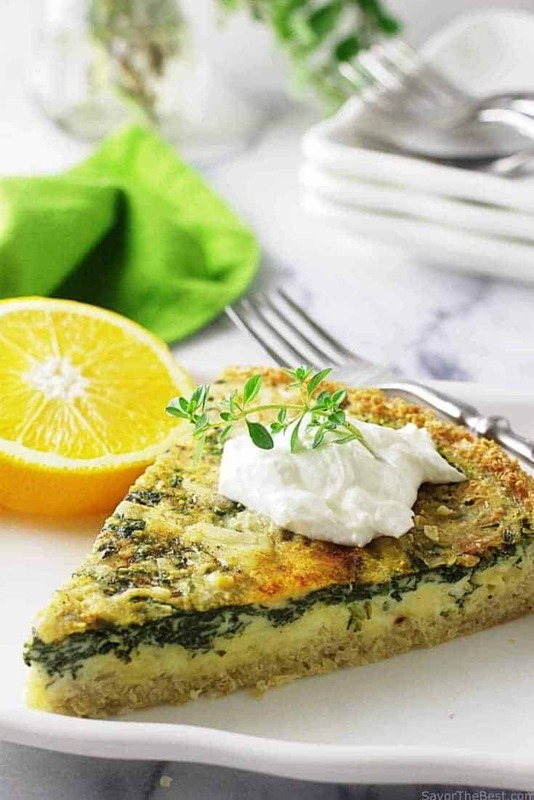 Our spinach-gouda quiche is a savory quiche with a crust made of cooked quinoa rather than flour which makes it gluten-free and a good option for anyone on a gluten-free eating plan. The filling consists of fresh leeks, spinach, and a delicous smokey gouda cheese. 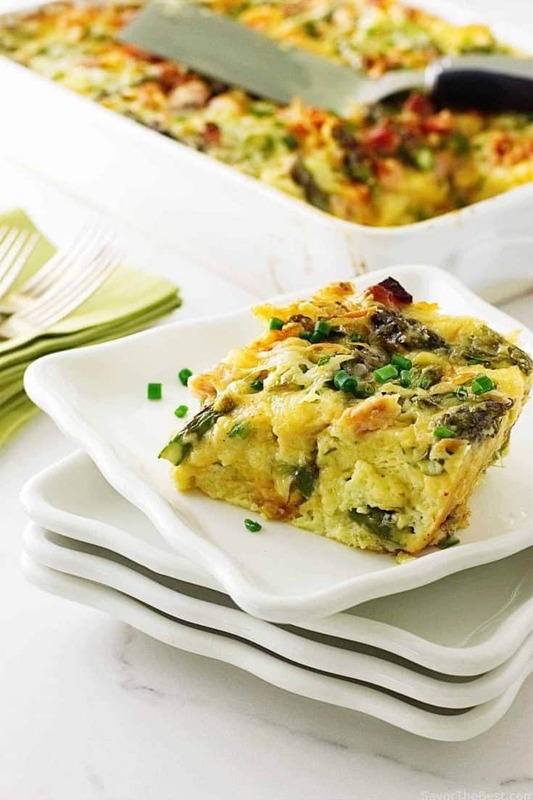 Our savory Asparagus-Ham and Gouda Breakfast Strata is rich, creamy and super delicious. 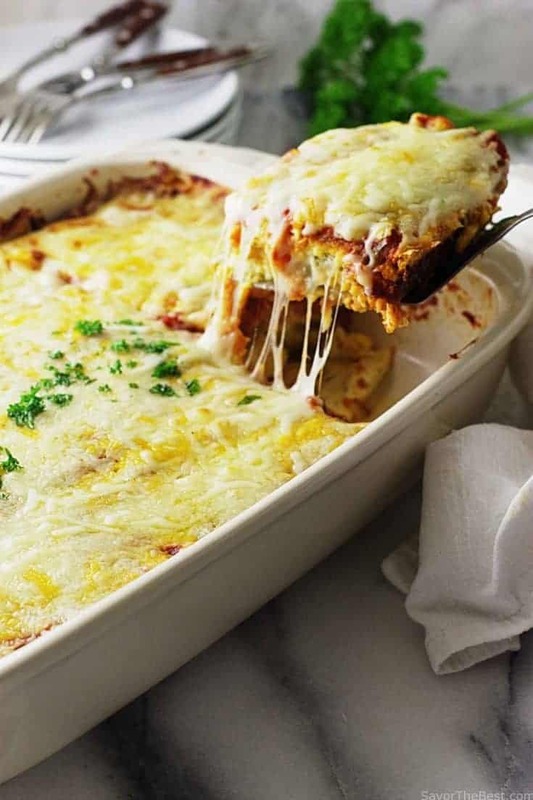 This is a perfect entrée if you are hosting a brunch party as it can be assembled the day or night before, refrigerated and then baked the next morning. 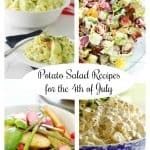 Mother’s day brunch recipes would not be complete without a pretty salad. This lovely grapefruit, mint and fennel salad with pistachios just shouts “Springtime”! 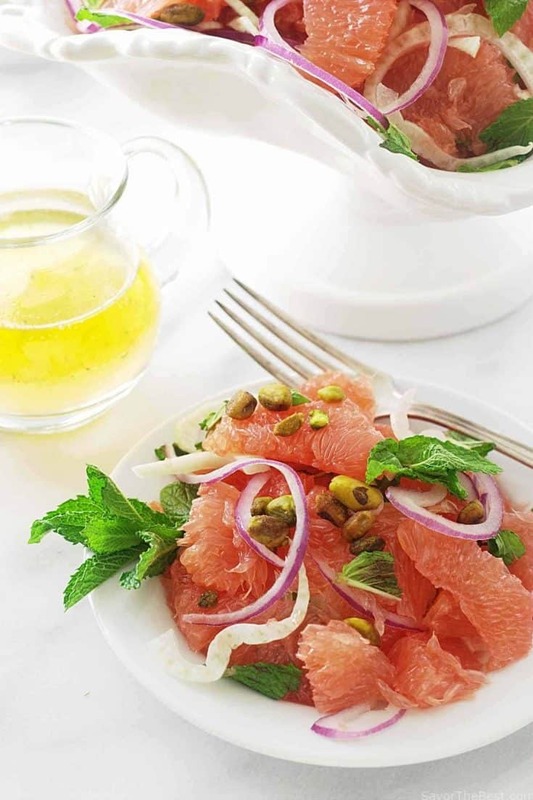 Sweet, juicy grapefruits combine with a generous portion of fresh mint, crunchy fennel, and salty roasted pistachios. Toss the salad with a vinaigrette of citrus, honey, and rice vinegar for a parade of flavors. 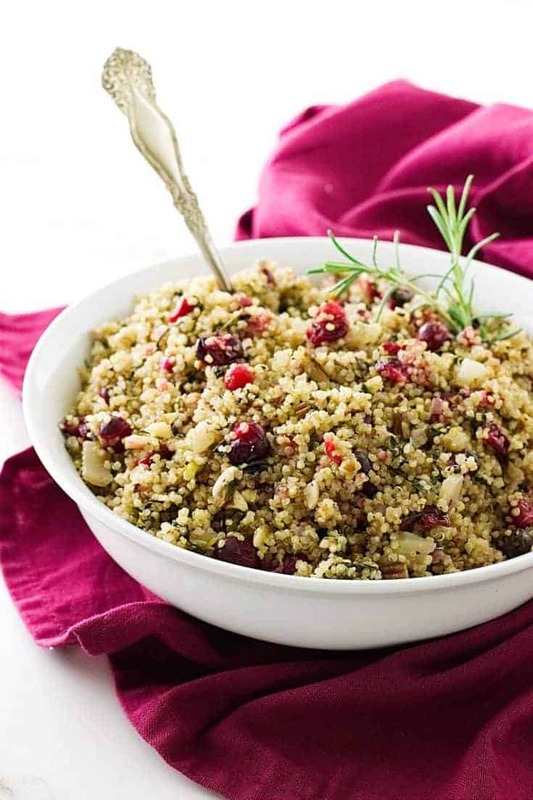 Quinoa-Cranberry Pilaf is filled with good-for-you ingredients of fresh fennel, kale, onion, cranberries, and pecans mixed with the fluffy quinoa. 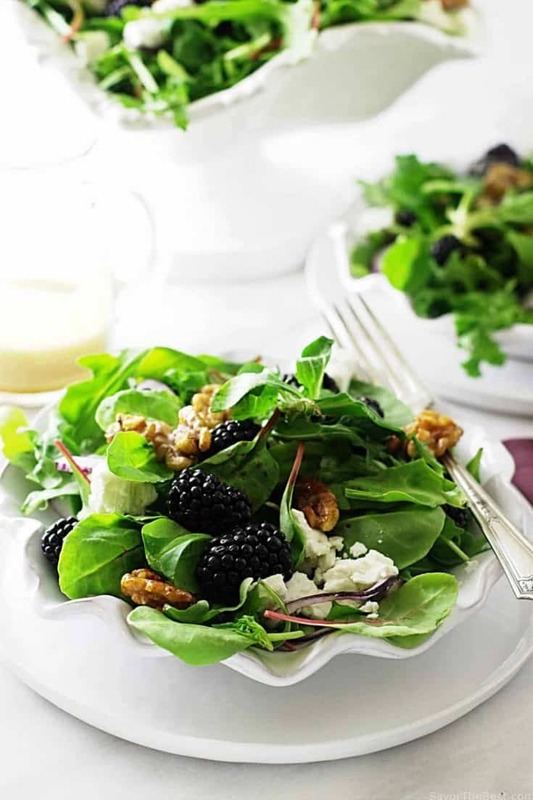 A refreshing salad with plump, juicy blackberries, a mache blend of greens, creamy feta cheese, and spicy red onion rings. Tossed with a sherry vinaigrette. We made these Kamut buttermilk waffles with stone ground Kamut flour, whole grain oat flour, and ground flax seed. Fresh eggs and real buttermilk was added along with a bit of coconut oil and a touch of honey. 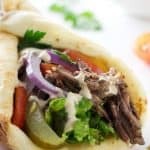 They are crisp, tender and tasty! 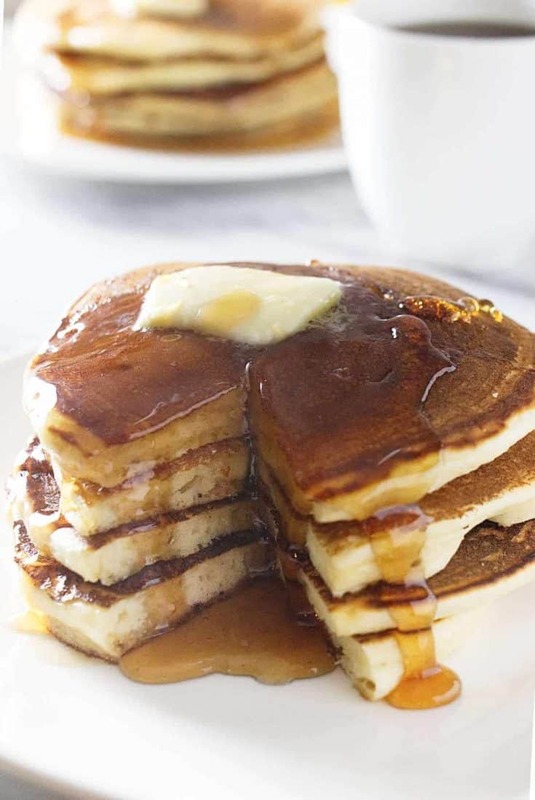 These sourdough ricotta pancakes are a great way to use up the sourdough starter that you need to discard. They have a rich, creamy, cheesecake-like texture from the ricotta cheese and an extra special flavor from the sourdough starter. 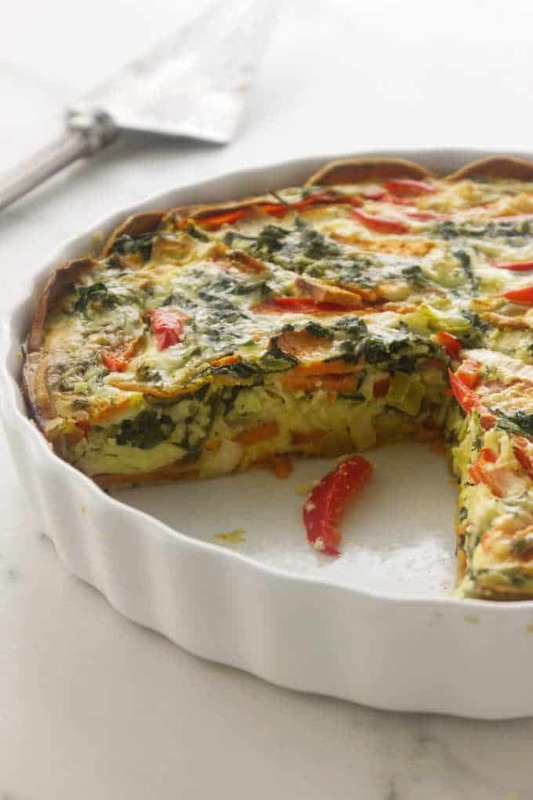 The non-traditional crust of sweet potato slices makes this goat cheese quiche gluten-free. Bright, colorful garden veggies of kale, leek, red bell pepper and more sweet potato slices are combined with a savory, custard-like filling. Our Meyer Lemon-Rosemary Loaf Cake is a delicious example of how well the flavors of lemon and rosemary compliment each other. 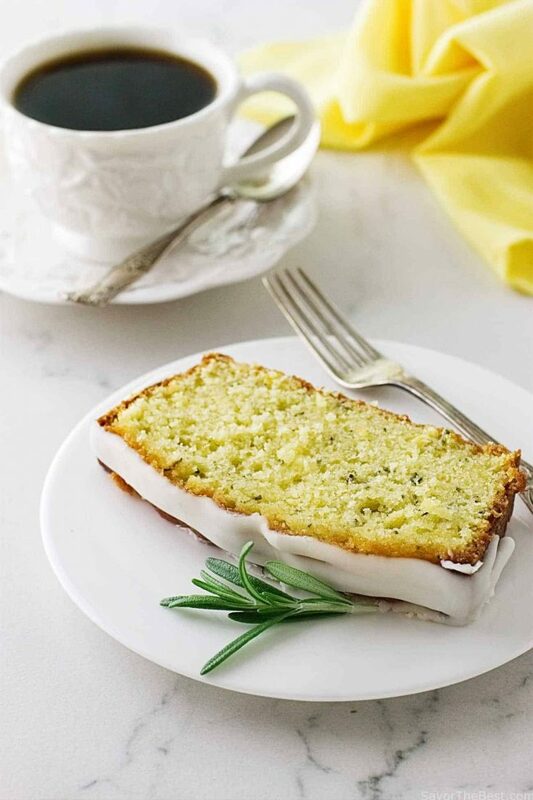 The flecks of Meyer lemon zest and rosemary bits are visible in every delicious slice. 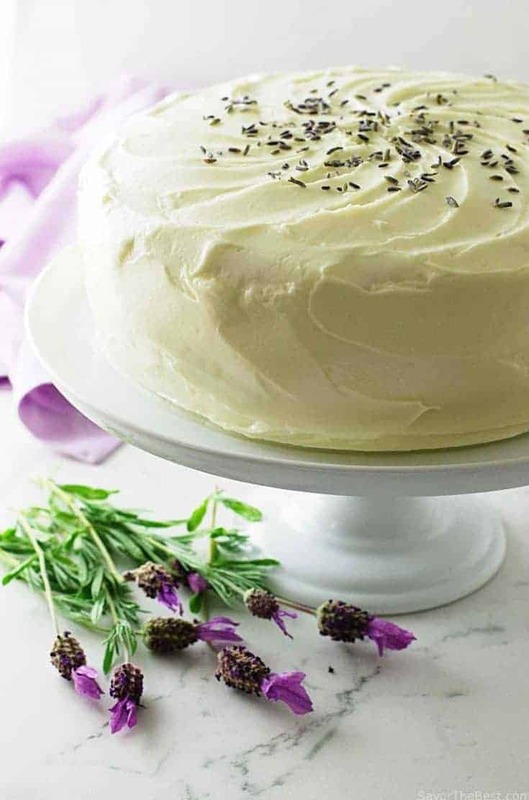 This is a moist, tender cake with a delightful and delicious lavender flavor in both the cake and the cream cheese icing. Something about this just says “Mother’s Day”. 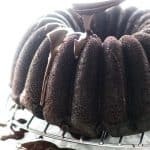 Our Chocolate Peanut Butter Layer Cake is moist, rich and creamy. 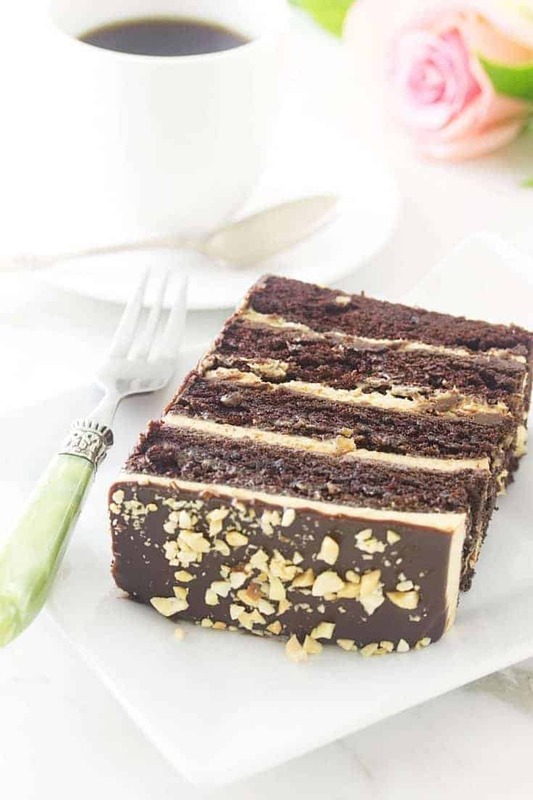 Layers of chocolate cake alternate with creamy peanut butter filling and a layer of ganache. Finally, it is topped with shiny ganache and chopped peanuts. 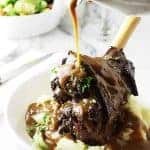 What a great selection of recipes for Mother’s Day! Everything looks so inviting. You are a life-saver. 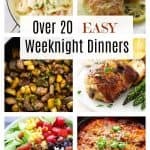 I haven’t decided what to prepare this Sunday and this post is just timely. So, now we’re going to have Chili Relleno Casserole and the Peanut Butter Cake for dessert.